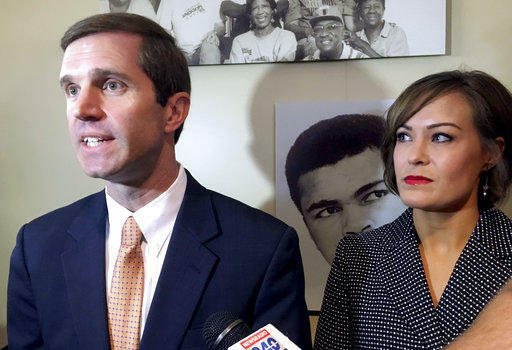 Kentucky Attorney General Andy Beshear answers questions after announcing his campaign for governor on Monday in Louisville, Ky. His running mate, Jacqueline Coleman, listens at right. "As your governor, I will listen especially to those who disagree with me and together we will move forward and these days of bullying, name calling and 'my way or the highway' will be in the past," Beshear said in his announcement. Beshear said he would "continue to fight for our teachers" if elected. 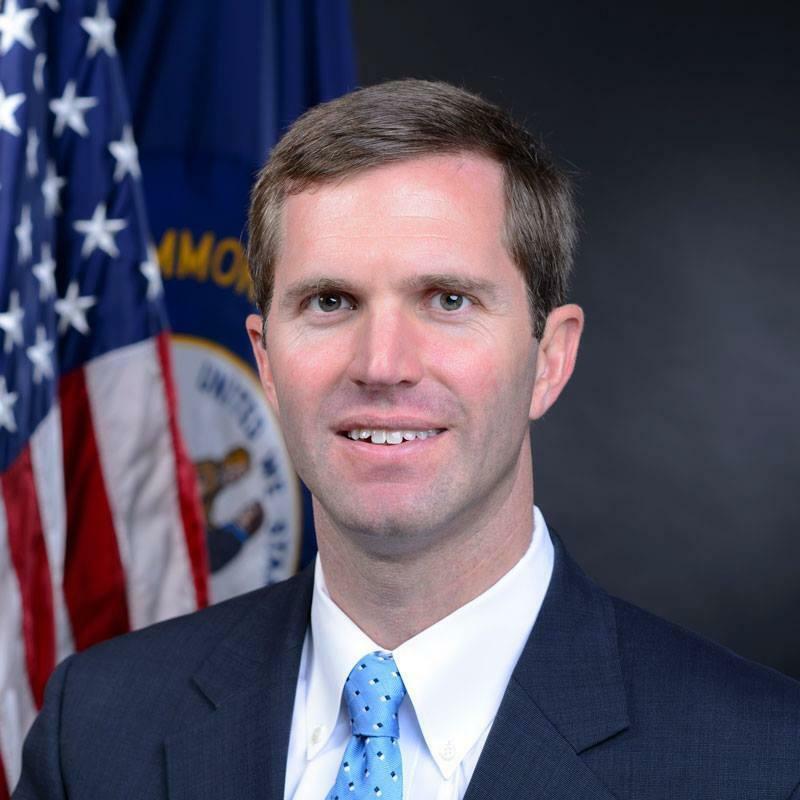 "They will be respected, our state will keep its promises to them and they will have a seat at the table," Beshear said. "Because their voice is a critical voice. That is the voice that educates and prepares our most precious resource, our children." Coleman criticized Bevin for supporting a state takeover of Jefferson County's public school system, which was recommended by Kentucky’s interim education commissioner earlier this year. "If you think they will stop there, you are wrong," Coleman said. "This is the first step in the Bevin administration’s plan to dismantle public education across Kentucky." "For those Kentuckians who did not get enough corruption, self-dealing, embezzlement and bribery during the 8 corrupt years of Governor Steve Beshear, his son, Andy, is now offering a chance for 4 more years of the same…," Bevin tweeted. During a hearing on Thursday, the judge presiding over the lawsuit against Kentucky’s new pension law questioned why state lawmakers were able to pass the measure out of the legislature in just one day. 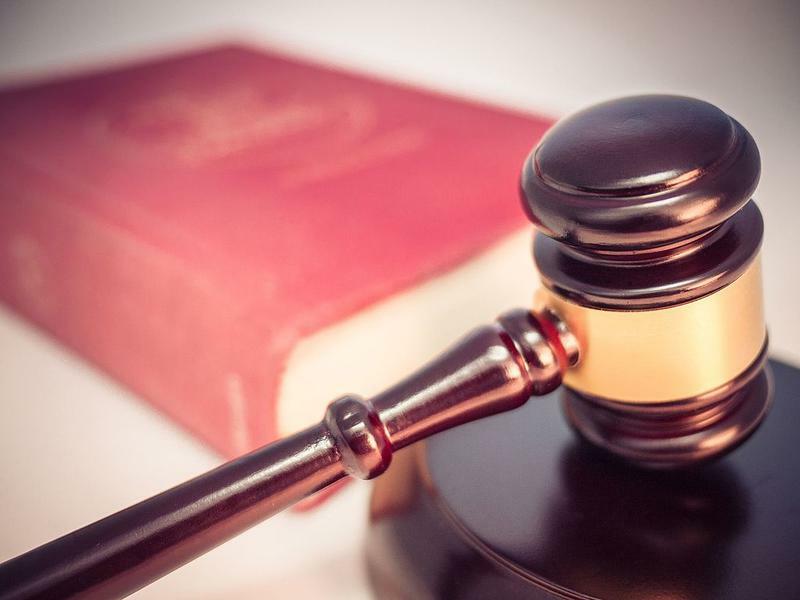 A judge has struck down changes made to Kentucky’s pension systems earlier this year, ruling that lawmakers violated the state constitution by rushing the bill to passage in a matter of hours.